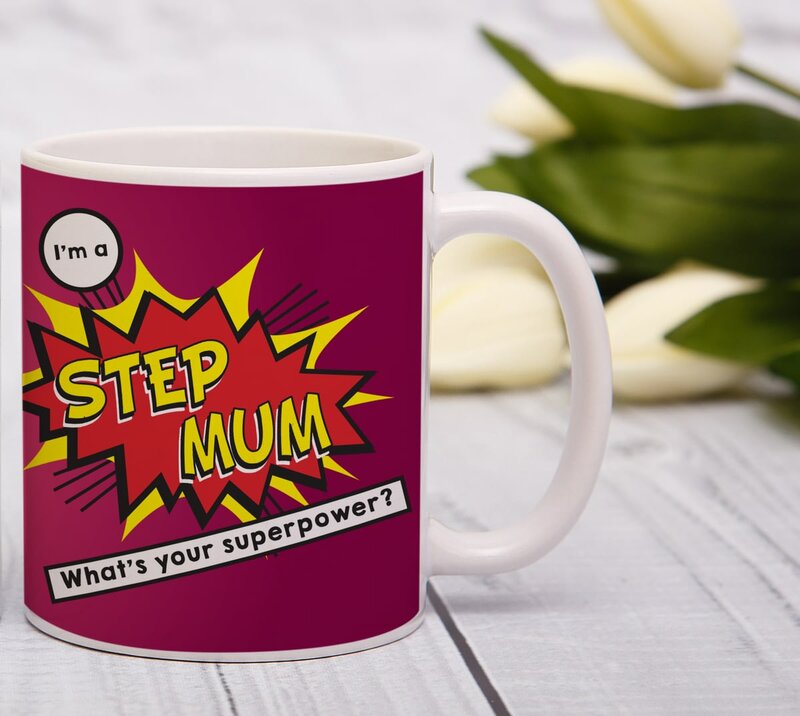 Show your Step-Mum how much she means to you with this super hero themed mug. 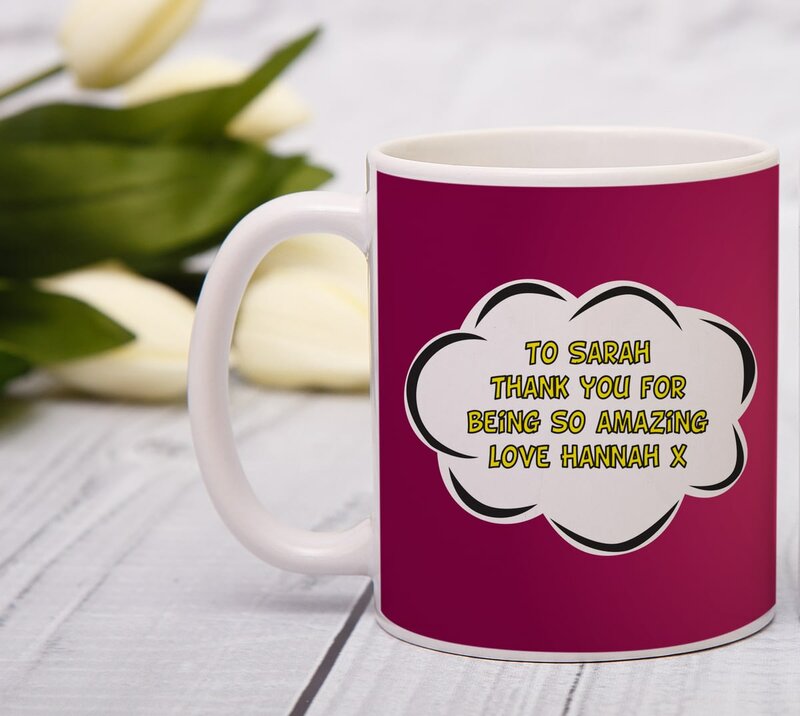 Add a touch of personalisation with a short message on the back of the mug. Is your Mum Awesome? The Best or just Pretty Cool? Why not tell her with this personalised mug? Make this mug even more special by including your very own personalisation. Because you think she's worth it, award her this 'Best Mum Ever' mug. Add a touch of elegance into someones day with this lovely bone china mug. This chic design wraps around the mug and includes your recipients name is inside the pattern. Personalise this quirky bone china mug with your pets name, using up to 20 characters, and breed. Dishwasher Safe and microwave friendly. Personalise this colourful ceramic mug with any name using up to 15 characters.